comes to the issue of Ukraine, and for Poland's new batch of leaders. Polish Foreign Minister Radoslaw Sikorski at the annual Weimar Triangle Summit, which brings together Germany, France and Poland, March 31. 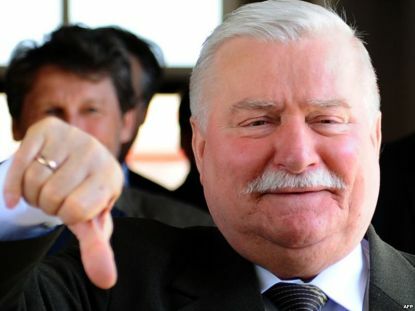 Former President Lech Walesa has come close to endorsing him as the next President of Poland, in this interview with Rzeczpospolita. Lech Wałęsa, former president and Nobel Peace Prize laureate: There won’t be a safe and free Poland without a free Ukraine. Politicians, especially Americans, don’t learn from their mistakes, and go on making new ones. The West’s first mistake cost Poland 50 years of Communism [allusion to Yalta]. Western Europe and the U.S. are now making the same kind of error with Ukraine. If the missile shield had been deployed in Poland, the situation would be quite different. We need to speak aloud of the mistakes of Barack Obama. The United States failed to organize the world and the result is that we continue to lose. Well, U.S. politicians are what they are. I'm not satisfied with them. Global solidarity isn't working. We cannot go along with this new Iron Curtain. We mustn’t let Putin have Ukraine, nor can we allow Ukraine's division. But we should not allow this to lead to war. Western countries should jointly resist Putin. We need to better organize in Europe so there is more solidarity. We cannot count on the United States or we’ll continue to lose. Lech Wałęsa: Yulia Tymoshenko should not be running. She has no chance at becoming president. Ukraine today lacks a leader who would be a symbol of change and on whose authority a new order can be built. The chaos in Ukraine may end in Maiden being depicted as a provocation of Putin. Rzeczpospolita: So should Ukraine be quickly admitted into NATO? Lech Wałęsa: If NATO gives Ukraine away to Putin, what good is NATO? Let’s see what NATO is made of. It seems fine as long as things are going well, but the moment something goes wrong, we are left alone in the hour of confrontation. If NATO forces are to be stationed in Poland, let's sign an agreement that they cannot turn tail when danger comes. Rzeczpospolita: It looks like the world has come to terms with Crimea's annexation into Russia. Lech Wałęsa: I am waiting for the world to issue Putin a manly response. For now, everyone is trying to wriggle out of it. Rzeczpospolita: What would you advise? Lech Wałęsa: We should build a global Solidarity movement, only more modern. Privately, we should ask every country: “How much can you frankly, realistically, do for Ukraine?” Then we would know how to fight and who is with us in it. Rzeczpospolita: Should the world agree to Ukraine’s division? Lech Wałęsa: In no case. The world should be able to find the power of solidarity within itself, which would force Putin to behave in a manner worthy of 21st century. Rzeczpospolita: There are sanctions. Russia may be excluded from the G-8, Russian oligarchs have had their foreign accounts frozen, but Putin seems not to care. Lech Wałęsa: This is too little. We have to review the question of Russian natural gas and trade with Russia. As far as possible, we have to exclude Russia economically. A High Commission of Solidarity should be formed that would receive every country's pledge and see that it is honored. Rzeczpospolita: So every country should, in the name of solidarity, waive imports of gas from Russia? You can't win this. Lech Wałęsa: So far, the one winning is Putin. A hundred killed on Maidan, and Ukraine loses part of its territory. It is difficult to win when you are boxing and playing chess, all on the same field. One side is playing chess, the other is boxing. The world cannot let Putin have his way, because it will end badly for us. Rzeczpospolita: But how to stop Putin? Lech Wałęsa: In addition to the High Commission I mentioned, people like Putin must be brought to trial at The Hague or another international court. One cannot be permitted to break rules and agreements and put nations in jeopardy. This has to be done so that everybody knows beforehand that this will be punished. Rzeczpospolita: Don't you get the impression that E.U. is acting egoistically and not passing the test in the hour of trial? Lech Wałęsa: That’s why we need to a organize a commission for global action to deal with Russia. The U.S. is not leading the world as it should. Rzeczpospolita: Are you afraid there will armed conflict? Lech Wałęsa: Such a conflict is quite possible, because there’s no lack of lunatics. But this is so costly it will soon be abandoned. That doesn't mean we won't get a bruise or two in the process. Putin has suddenly recalled he comes from the KGB, and they played a rough game. Rzeczpospolita: What do you think of returning to the draft because of the situation in Ukraine? Lech Wałęsa: I am for it, provided it is limited and more intelligently done. It was a mistake to stop it. Rzeczpospolita: Should we spend more money on the military? Lech Wałęsa: Yes, but we are not prepared for this. Rzeczpospolita: How do you assess Poland’s involvement in the case of Ukraine? Lech Wałęsa: I would prefer that Poland begin organizing what I mentioned earlier. Rzeczpospolita: Has [Foreign Minister] Radosław Sikorski grown into the role of a European leader? Lech Wałęsa: He is trying hard, but in the fight for Ukraine, he has made a lot of mistakes. 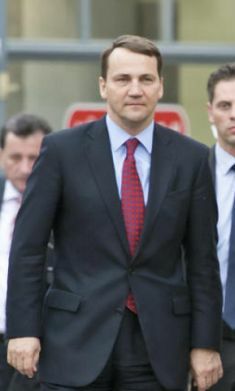 Sikorski is a capable, intelligent man. He is a fast learner and has imagination. The only thing he lacks is experience. If he doesn’t get spoiled, he is likely to be a future president. Rzeczpospolita: Are you anointing Sikorski as the next president? Lech Wałęsa: It isn't inconceivable. Rzeczpospolita: Does [Prime Minister] Donald Tusk have a chance to rebuild his position on the Ukrainian conflict? Lech Wałęsa: Not only because of that. He is, generally speaking, quite a good politician. He is beginning to make mistakes, which I do not like. He has begun to lose common sense. Rzeczpospolita: On June 4, President Obama arrives in Poland. What should we expect from the president of the United States regarding Ukraine and security guarantees for Poland? Lech Wałęsa: We should tell Obama that he is responsible for this situation, because if he hadn't backed out of the missile shield, the reality today would be different. 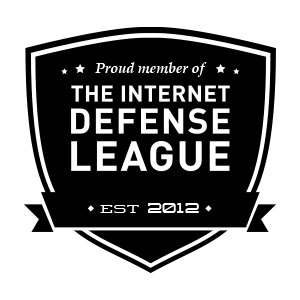 The U.S. president made a mistake and now he needs to quickly fix it, since only the shield can guarantee adequate security. Otherwise in the future, the cost may be much higher. Rzeczpospolita: Will you celebrate the anniversary of Solidarity on June 4? Lech Wałęsa: No, because it wasn't a victory. Rzeczpospolita: Is it proper for Solidarity to attack candidates of the PO [the ruling Citizen’s Platform] in the European Parliament elections? Lech Wałęsa: Now I will try to get “Solidarity” to embrace everyone, since they have problems and I would like to help them. However, I will not change my opinion on reform and Poland. I will not employ demagogy and populism. Rzeczpospolita: Do you support [Solidarity Chairman] Piotr Duda in his advocacy for mothers of handicapped children? Lech Wałęsa: Neither I nor anyone who came after me did enough for this group, but using them in a political struggle isn't my cup of tea. This is not a new problem ... it has been growing for years. Today Poland is disturbed by it. Rzeczpospolita: Was the prime minister right to meet with these mothers in Parliament? Poland's public finances are like a short blanket: cover the head and your legs are left bare, and vice versa. Rzeczpospolita: What's your opinion about the party lists of candidates to the European Parliament? Lech Wałęsa: Athletes to the European Parliament?! This just blows your mind! What is their political experience? What kind of expertise do they have? I have an aversion to elections and politics. I have to wonder what was I fighting for. Twenty years ago I said that the era we were headed into would need a more transparent way of organizing. Citizens need to know where every politician stands. Everybody who wants to be a politician should have a chip - and on that chip everything should be stated: what kind of money does he have, who is he sleeping with, so I know who that person is. Come election time, if he cheats me once, neither he nor his family should be allowed to run for the next 50 years. It's possible to stop all this idiocy, to choose wisely, but we have to organize better. With the old way, we won't go far. I am all for big parties, but not choosing athletes and celebrities or those who can’t put two words together in English. Rzeczpospolita: What chance does the PiS [Law & Justice, a major opposition party] have in the European Parliament elections? Lech Wałęsa: If they win, they will really lose. They can’t keep all of their promises. They get into brawls with everyone and therefore, that will mean their total defeat.